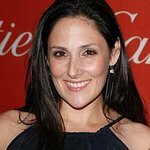 Ricki Lake raises awareness for birthing issues, and has taken part in walks benefitting the fight against breast cancer. She is active in supporting the charity supporting a school in Malawi started by her nanny. Google trends for "Ricki Lake"